The manufacturing unit of boneArtis AG was founded in 2009. It is a familiy owned company based in Brunnen at the lake of Luzern, Switzerland. It is a research and production facility for medical ceramics. Number of FTEs*: 7.
boneArtis developed a ceramic injection molding process patented in Europe and US, CE-marked and FDA cleared. A new manufacturing site (shown aside) has been opened in 2013 to increase the capacity and shorten production times. 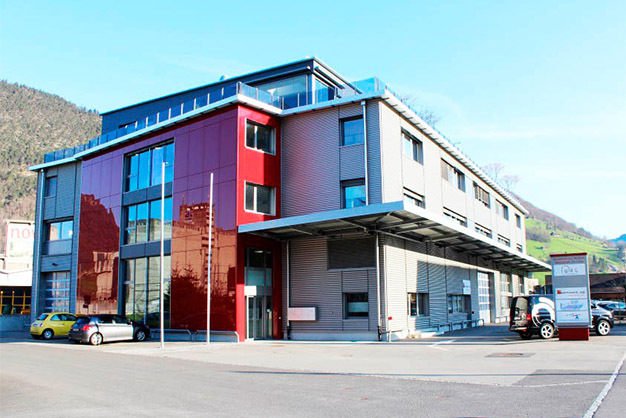 boneArtis is accompanied by the applied research of the ZOW Munich (Center of Orthopedic Sciences).